Training is necessary for every professional to hone their skills on their specific field. If the homemaking service provider trains their homemakers well, then they’re all set to produce highly trained individuals to serve the market. You can assure that the homecare service provider is trusted and safe if they are licensed by the Food and Drug Administration. This means that the techniques they’ve used on helping people are effective and are anti-discriminatory too. 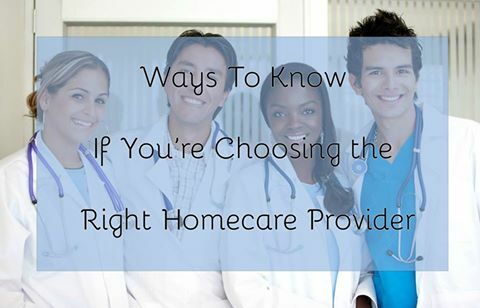 Every homecare has their own vision of what they want to offer to their clients. If the homemaking service provider is focused on providing better care for clients, then tendency is that the homemakers will do their very best to meet the patient’s needs. Choosing the right homemaking service provider is a tough decision to make. That’s why at Care Plus Provider, we make sure to give you the right services and care just for you. Call us at 1-800-571-1618.